Training has officially started for the HTC DROID DNA at Verizon stores. Well, if not training than at least mentions by head honchos to sales associates that the device does indeed exist and will be arriving “soon.” Our sources have confirmed to us that the device is being tossed around at meetings and holiday kick-off events, however, we still don’t have an official date. Verizon seems to be keeping that note locked up tight, or hasn’t fully decided yet. 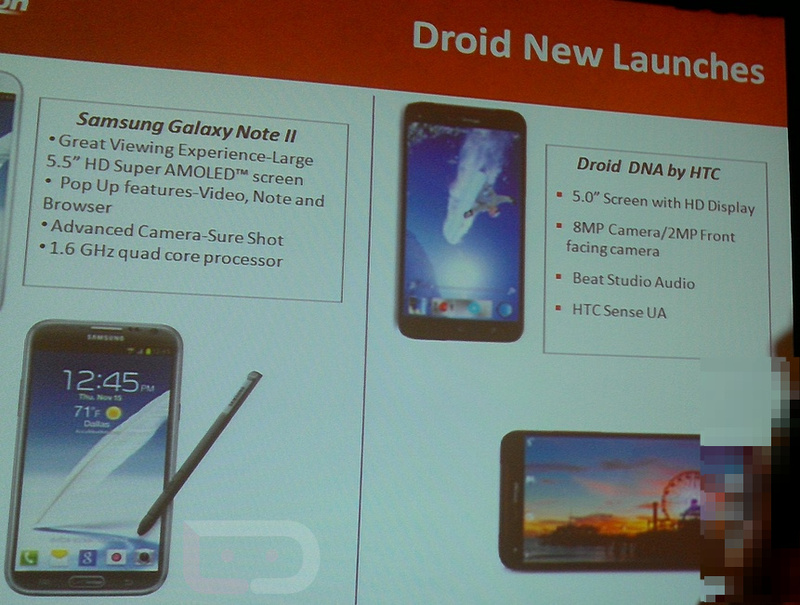 As you can see from the slide above, the name DROID DNA is being used as the final name. The only potential launch date we have seen thus far points to November 20, which is the Tuesday before Black Friday. The device has also appeared in official DROID press photos and passed through the FCC. It shouldn’t be long before we hear something official. Show Off Your Home Screens Day!